Electronic parts catalog for all BMW cars and motorcycles including ROLLS-ROYCE (RR1, RR2, RR3). It also contains genuine accessories catalog for BMW, MINI and ROLLS-ROYCE. The electronic parts catalog (abbrev. 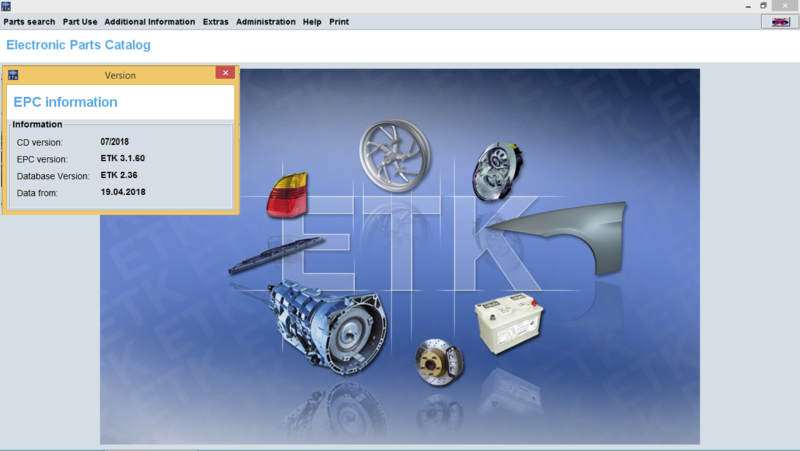 : ETK) makes available to you the complete service parts spectrum of the BMW Group and will make it easier for you to locate the service parts you require (vehicle parts and accessories/lifestyle parts. A number of different search methods, such as a search for the product description, are available. The system also provides detailed information on individual service parts and lets you place the parts that are found in the parts lists. To identify your vehicle you must use only last 7 digits of the VIN number. To identify your vehicle you must use only last 7 digits of the VIN number.